This book will give a flying start to your competitive sailing career. Whatever class of boat you sail and whatever your experience, these principles will ensure you are at the front of the fleet and better prepared than the opposition. 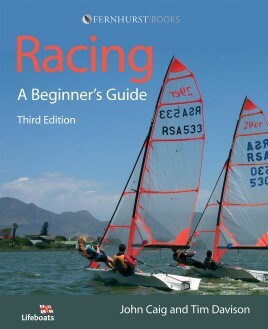 The book is illustrated with stunning step-by-step photographs, and common racing pitfalls are highlighted. Starting with the basics of choosing which boat to race and where to race it, you will be introduced to the rules of racing and learn about rigging, tactics, training, strategy and tuning your boat. Racing is aimed at helms and crew – their skills are complementary and a fast boat is one with a good team on board. John Caig is a twice Fireball World Champion and a former Topper National and European Champion. He was a member of the British Olympic Yachting Team. Tim Davison competed regularly on the International Laser racing circuit in the 1970s and 1980s, and was on the podium for both the Open Worlds and European Championships and won the Masters European and UK National Championships during this time. He has won the British Moth national Championships four times as well as competing successfully in many other classes.